10.01 with a crazy head wind, so much so that it knocked 5mph off the trap speed! Earlier in the piece the 60ft got down to a 1.31 and the 10.01 run was a 1.34 60ft. The tires are getting fairly worn which may be the problem. There was is bit of ignition breakdown at 23psi so I upped the dwell by .5ms and that seemed to fix it. Your times and trap speeds are like what you mostly see from muscle cars with auto trans, not imports and 5 speed manual trans, great times. Any videos and time slips? Stock trans? What is your 1/8 numbers? I'll scan time slips when I get a chance. I can't remember what the 1/8 stats are off hand. Sorry I forgot to mention earlier that the trans is a faceplated Tremec TKO 500, which should help explain the MPH or lack of. 1st and 5th gear are still syncronized so it's quite streetable. Last edited by JZG; 11-27-11 at 10:29 PM. I don't know what that is but I guess it explains it then lol. Awesome 60 ft and et's. Good for 800hp or so behind a 13B I reckon. I offer adapters that allow you to bolt up your stock FC or FD bell housing to the Tremec TKO. Can you post info on your TKO to FC bellhousing adapter? (picture, pricing, alignment features) I understand the tip of the input on the GM style TKOs will mate with a Mazda eccentric shaft. My car's an FB, and I don't think the rear face of block to shifter distance is correct for my car. Do you have any tricks to relocate the shifter further aft on a TKO? I have bad bearings in my FC box right now, and I'm trying to decide if I should rebuild it or go with something stouter. I'm currently only making about 350 RWHP, but I'm still tuning. I plan to bump it up as I get the tune dialed in. It turns out I was putting in too much water! Less water made more power. More power and new tires = 9.61 at 139mph. Awesome! Could you share more details as usual? Still on pump gas? Are you going to push it farther? I think there is still room for little bit more power, but not much. Yes still on pump gas. The entire setup is exactly the same, only I stripped the engine, mainly before I broke it, but partly out of curiosity. It was good inside so I fitted new apex/side seals and all new springs, and waterseals. Everything else was re-used. I also tidied up the ports and dowel pinned the block. On the same boost (23psi dropping back to 21psi at higher rpm) it made another 30hp. Taking out a bit of water seemed to be part of that hp gain, and interestingly enough it wanted 12deg of timing this time, not the 3deg before the engine was opened. Between the water cut back and the timing increase I think that must be the 30rwhp. Hp is now 460rwhp. Between the extra hp, new tires, and no head wind this time, it ran a much better ET with a decent increase in mph. It must have run half a dozen 9.6 and 9.7 passes all at 138-139mph. The w/gate physically won't allow more than 21psi boost, so once i get a heavier w/gate spring I'm going to shoot for 25psi or whatever the turbo will make. I'm kinda curious now to see how fast it'll go with the puny 60-1.
how did you decrease the water flow. please share the nozzle if you got a new one. also, where did you get your reservoir. i like it. It's the same nozzle, I just changed the pwm duty cycle to flow less water. I made the water tank to suit the space I had. We'll after a trip back to the dyno I now know the limits of a 60-1 turbo. It makes 29psi, dropping back to 24psi at peak rpm giving me 500hp at wheels SAE with a heap of hp in the midrange. 25psi induces a misfire right at peak rpm, so I think I found the limit of the ignition system also (there is a lot of water going in at that boost level though). This time I used hard compound tires as the semi slicks I ran last time were melting on the rollers and had to run real flat to get grip, so the 460hp reading last time with melted tires was probably more like 470-480hp with hard tires. This seems to match up quite well the the trap speed vs the weight of the vehicle. The dyno actually read 520hp SAE however I'm going to stay on the conservative side and assume 500hp. 25psi induces a misfire right at peak rpm, so I think I found the limit of the ignition system also (there is a lot of water going in at that boost level though). Could you share actual water flow rate at such pressure? Also air/fuel when it happens? The dyno actually read 520hp SAE however I'm going to stay on the conservative side and assume 500hp. First gens all the way! I have a question. What is this line with the red "???" Are the black labels correct? gonna have to say the "???" is pressure(air) feed from the turbo, going to the water/air mix nozzle and then splits of going on to the tank to pressurize it (the line you have labeled "return"..) i don't see this kinda of system having a return for the water.. If that's the case, I understand why the pressure line goes to the tank but why does the nozzle want pressure? It is an air atomizing nozzle. It externally mixes pressurized water and air to achieve a low micron droplet. The line to the tank is feeding the nozzles air needs as well as pressurizing the tank. You need to follow Dudemaaanrx7's thread in this section. It explains the use of air astomization nozzles in this exact neumatic setup. This type of setup has been used for many years. Pioneered by Peter at Rice Racing. XLR8 is correct, the line you have marked in red is a constant boost feed to the air side of the nozzle, and to the tank (the line you have marked as return). 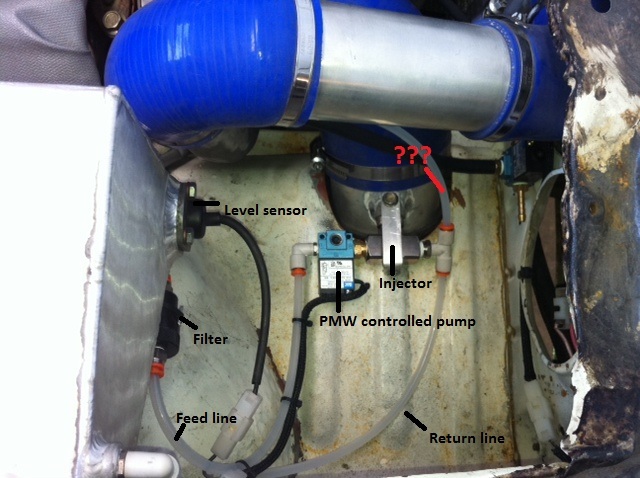 PWM controlled pump is not a pump, it's a solenoid valve. Boost pressure is the pump! 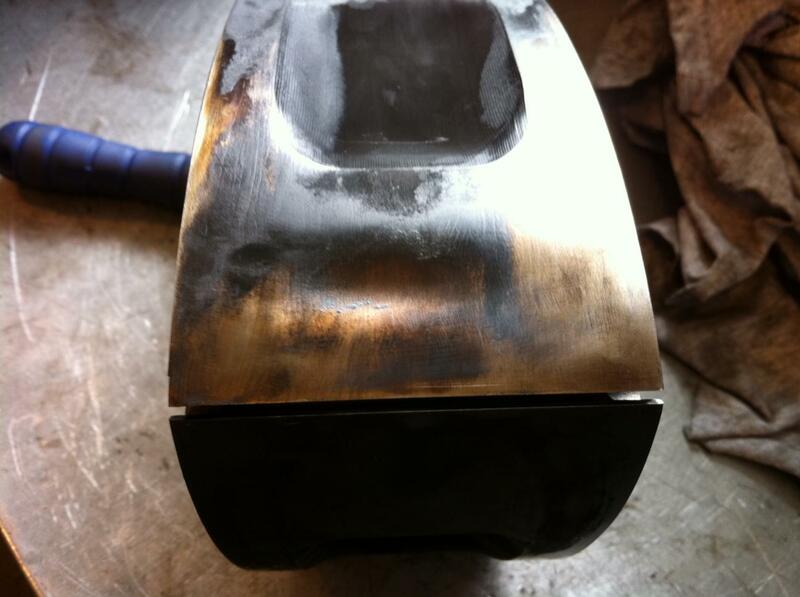 A quick update - this is what happens when the fuel gets real hot and the fuel pump cavitates! 300 miles later compression was a little worse so I whipped the rear iron off the engine to find a cracked corner seal and 2 dented rotor faces! Believe it or not the apex seals were still straight! At least straight in the usual way - they we're actually bent sideways due to the dent pulling the metal and deforming the entire apex seal groove. I was in a hurry since the car was meant to be racing the next morning, so I replaced the corner seals, filed the apex seal grooves, hammered the apex seals a little (lol) and put it all back together. Data logging on the street told me it wasn't much better and still wanted to knock, so the next day was raced with less boost and no timing. 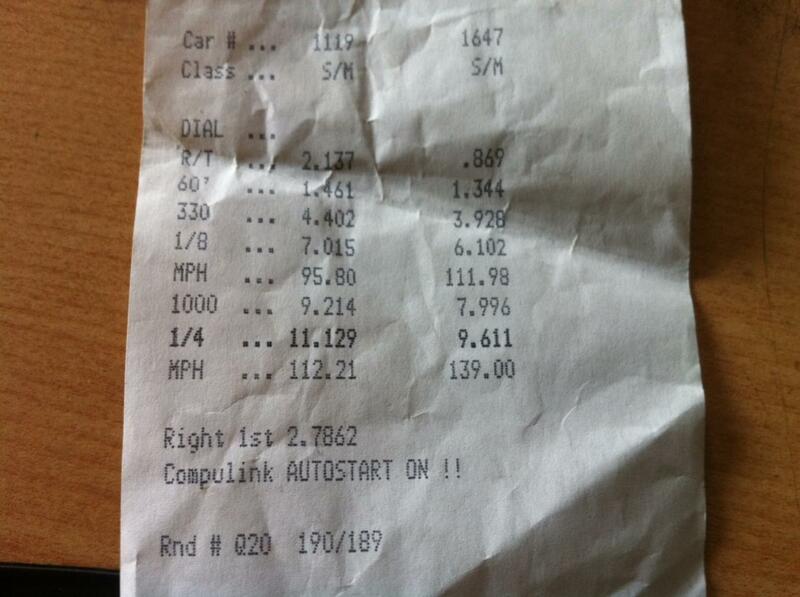 The car still ran a 9.72 at 139mph, and this was done on ET streets rather than the full slick it usually runs on. Even with the broken corner seal the engine ran perfect with no knock at approx 450hp level, however any extra boost above that seemed to be enough to make it knock. It's still running just fine on low boost, however I'm going to replace the rotor before the big turbo goes on. BTW the fuel pump is a single Bosch 044 mounted in-tank. I'm fairly sure it's maxed out at 500rwhp and about 80psi. 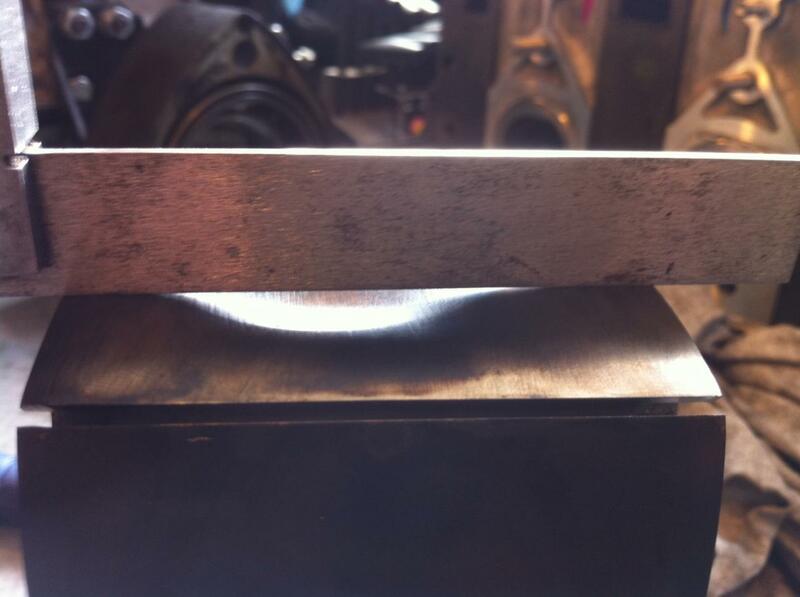 The hot fuel from repeated dyno pulls and little airflow must have been enough to send it over the edge.